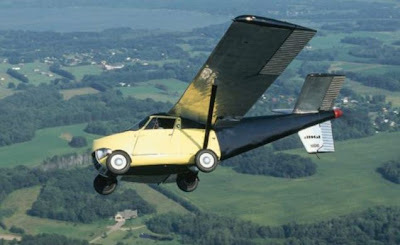 The first ever flying car in the history is finally here and its now making a lot of bucks in the market. 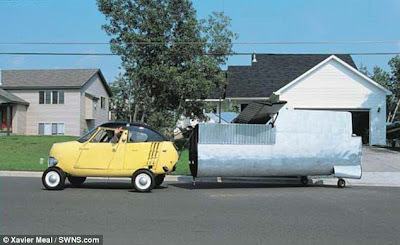 They called it "Aerocar," one of the 6 of its kind ever built from expected 500 orders needed for mass production but it fails. The inventor started to work on it since 1946. According to report, "the first three models were sold for a hefty $25,000 (£15,800) each with a plan for mass production. But the firm struggled to get the 500 orders needed to make the car marketable." But now, Inventor Moulton 'Molt' Taylor made another designed that would be able to convert the car into plane in less than 10 minutes. Taylor said, "The changeover from plane to auto can be made by a women in a fur coat and high heels." Curator at the EAA AirVenture Museum Ron Twellman said, "Molt Taylor’s Aerocar was the first roadable aircraft to be certificated by the Federal Aviation Administration." You'll be able to see a 60-year-old car that fly at 110mph at 12,000ft and moving on the road at the speeds of up to 60mph. Comments or suggestions about "Aerocar - First flying car on the Market" is important to us, you may share it by using the comment box below.